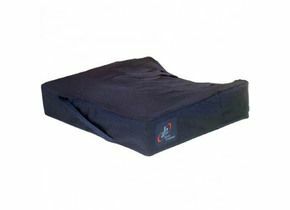 The Jay 2 Standard and Deep Contoured wheelchair cushions have several features (both from a comfort and support point of view), and if you're the owner of one, you'll want to protect your investment. Thankfully Jay also provide a wide range of replacement covers that will suit your needs. Whether your requirement is for the Tritex air-exchange cover which promotes cool-air movement, or the incontinent-resistant low-shear cover, you can be reassured by the high quality you can expect from Jay. Both covers feature zipper closures. Got it finally. Hard to get it in Europe. And a reasonable price. Thank you again!